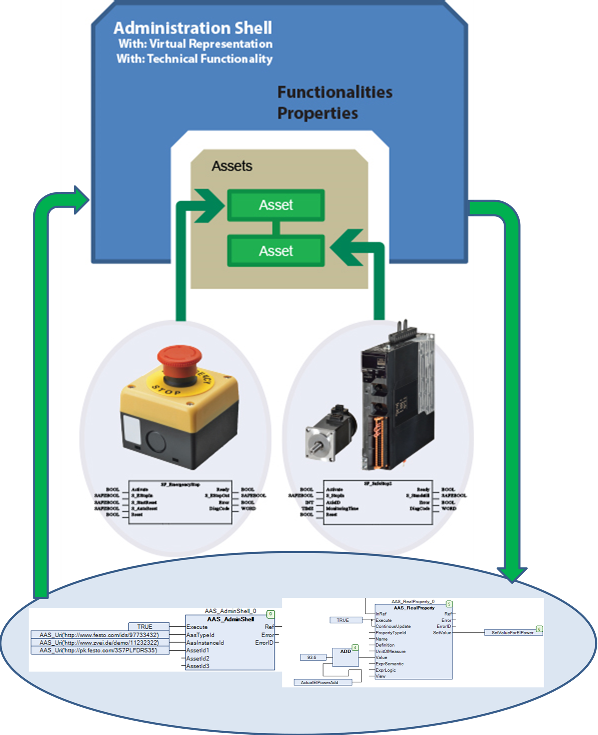 PLCopen has defined many software functionalities via the definition of Function Block Libraries, like done for Motion Control, Safety, and for Communication over OPC UA. These PLCopen specifications provide a well-defined suite of functionalities, covering the basic range. In addition PLCopen defined a framework related to the definition of function blocks with a focus to the create user defined libraries. In this way one can encapsulate larger functionalities and provide higher levels of integration. This helps the engineering of a new machine more easily and to provide a better decomposition and reusable structure in the software development, making it easier to maintain and add new wishes. In addition, PLCopen is working on a document showing the integration of PLCopen and PackML via the PLCopen OPC UA profile. Following some basic rules for the application development, it will become much easier to interface to a machine in a harmonized way and to integrate machines in production lines in a standardized way, based on OMAC PackML state machine, modes, and Packtags. With the combination of the OPC UA functionality for browsing, one can even search for new functionalities and add them as the basis for a new application program more easily.